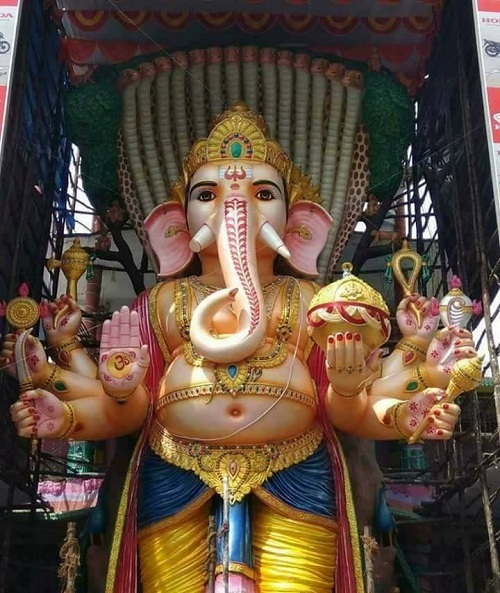 Khairatabad Ganesh Nimajjanam 2018: The 57 feet Khairatabad Ganesh 2018 (Sri Saptamukha Vinayakudu) is getting ready for the Nimmajjanam. 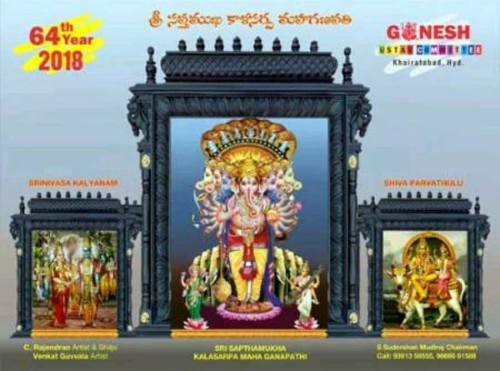 Like every year, this year also the Khairatabad Ganesh Nimajjanam 2018 is going to take place at Tank Band. All the Tv Channels will telecast Khairatabad Ganesh Nimajjanam 2018 live footages on the Nimajjanam day. You can also watch Khairatabad Ganesh Nimajjanam 2018 Live video from this page. The Ganesh Nimajjanam is celebrated on the 11th day after the Vinayaka Chavithi. This year, the Vinayaka Chavithi 2018 festival was celebrated on August 2018. In Telangana State, Khairatabad Ganesh is the most famous Idol. Every year, the organizers and designers come up with a different concept in creating the Khairatabad Ganesh Idol. The Khairatabad Ganesh is also known as one of the Tallest Idol in the Telugu states. Last years, the Khairatabad Ganesh Height was 58 feet and this year Khairatabad Ganesh Height is 57 Feet. People from all over the places will come to watch Khairatabad Ganesh Nimajjanam 2018. Those who are unable to come, they will try to watch Khairatabad Ganesh Nimajjanam 2018 celebrate in TV or the internet. So here we are providing the links to watch Khairatabad Ganesh Nimajjanam 2018 Live. You can check out the Khairatabad Ganesh Nimajjanam 2018 Photos Videos Images from our website. We will also provide time to time updates on the Khairatabad Ganesh Visarjan 2018. The Telangana Government has installed over 2000 CCTV Cameras on the Immersion and over 50 CCTV Cameras at the Tank Bund. A total of 40 to 50 Cranes are going to be used to immerse over 25000 Ganesh Idols. 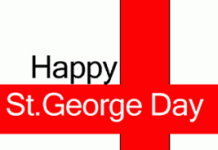 Many Police Battalions are also stationed at each route to avoid conflict. The Telangana Traffic Police Departments has already blocked the Immersion route and diverted all the regular traffic to other routes to avoid the traffic jam. On this day, a large number of women’s also participate in the festival of Khairatabad Ganesh Visarjan 2018. So for the safety of the women, over 150 SHE teams are stationed on the procession route. The Khairatabad Ganesh Visarjan 2018 will start around 4 to 5 pm on September 25th. All the routes from Khairatabad to Tank Bund will be cleared for the Khairatabad Ganesh 2018. Last year, the Hyderabad Ganesh Nimajjanam was very successful without any incidents. So, the Telangana Government and Hyderabad City Police are making all necessary arrangements to make this year Khairatabad Ganesh 2018 Nimajjanam successfully without any accidents/incidents. The government also provided 108 services and helplines in case of any emergency. The route to Tank Bank is filled with Ganesh Idols. People perform dances to the tunes of devotional songs of Lord Ganesh. Even the Children’s participate in the Khairatabad Vinayaka Nimmajanam 2018 carrying Lord Ganesha Idol. Many Tollywood celebrities and political party members will also make their presence at the Khairatabad Ganesh Nimajjanam 2018. You can check the complete gallery of Khairatabad Ganesh Nimajjanam 2018 Photos here.